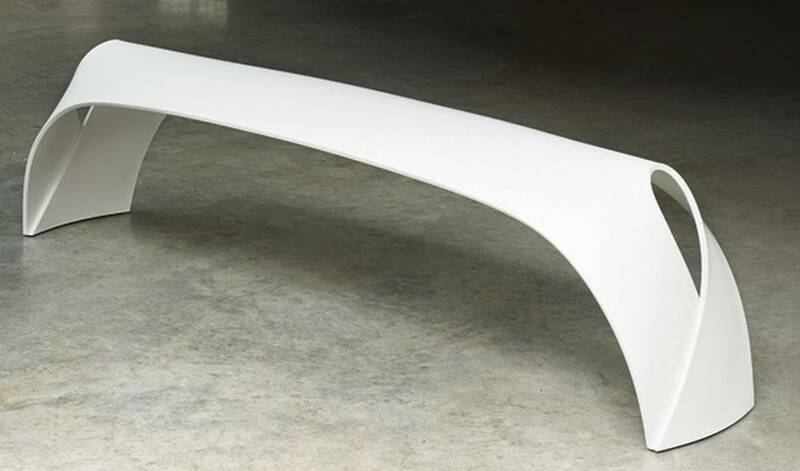 The Pleat Bench from London, England-based Made in Ratio treats Corian, popularly used in kitchen countertops, more like paper: A few simple folds turn a continuous piece of the material into a sinuous bench that will hold up well in any sort of weather. $5,400 through www.madeinratio.com. 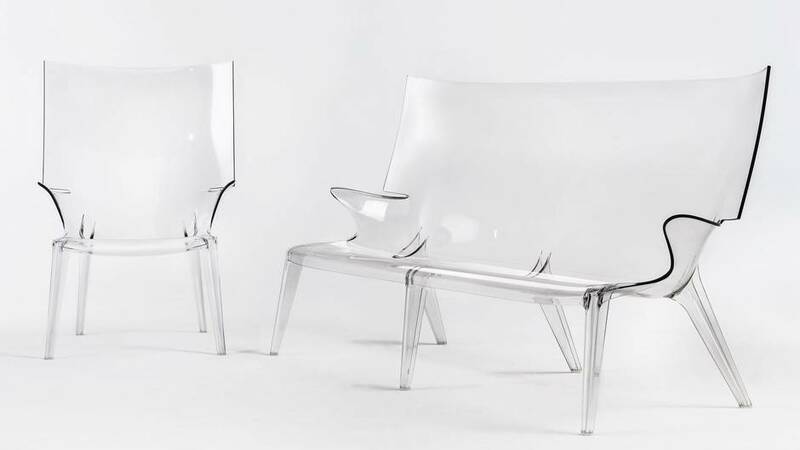 Philippe Starck’s Uncle Jack is the world’s largest single-mould sofa, made from a single sheet of super-light polycarbonate. 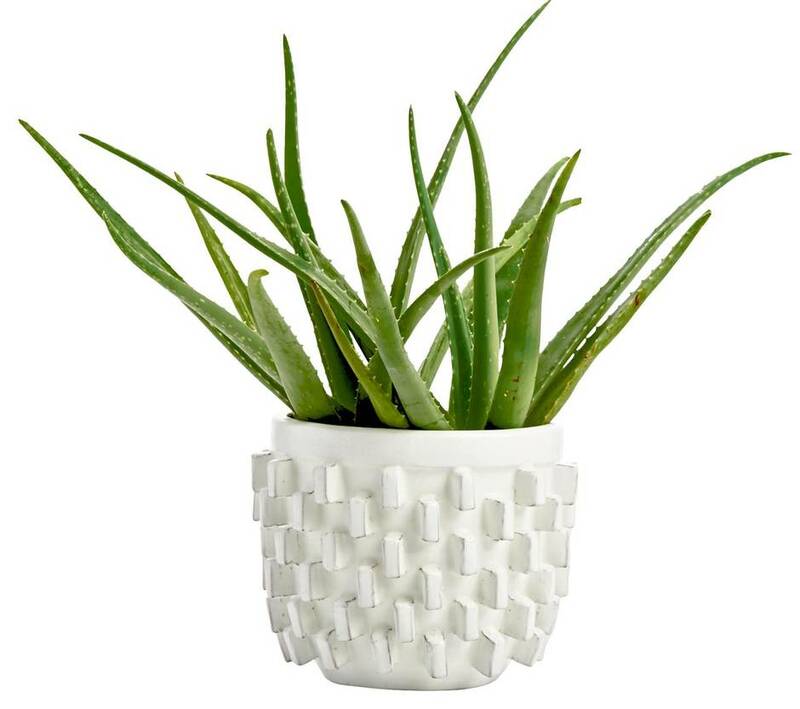 Designed as an indoor-outdoor piece, it is highly durable, not to mention waterproof. $1,860 through www.livingspace.com. The Ipnos floor lamp, by Italian designers Nicoletta Rossi and Guido Bianchi, has a beguiling levity. The frame is made from floss-thin aluminum, while tiny LED strips embedded in the box create a diffuse glow. 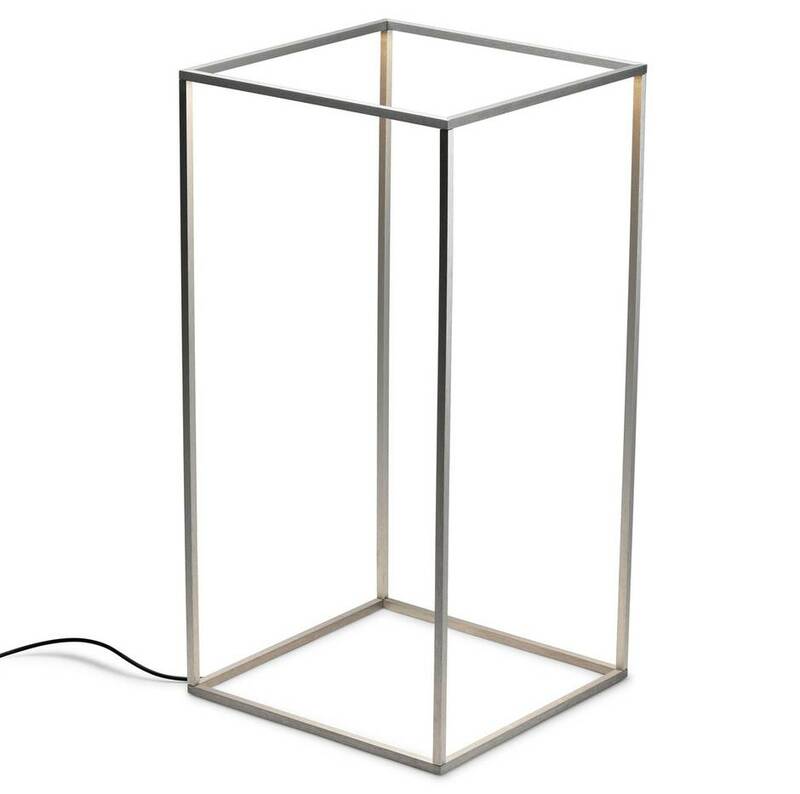 $945 U.S. through usa.flos.com. The charming, cloud-like table from Spain’s Studio Expormim is cast from durable fibreglass that helps it stand up to the elements. From $969 through www.tuschseating.com. The Everything Table, by Toronto design Ryan Taylor, is a deceptively simple piece. 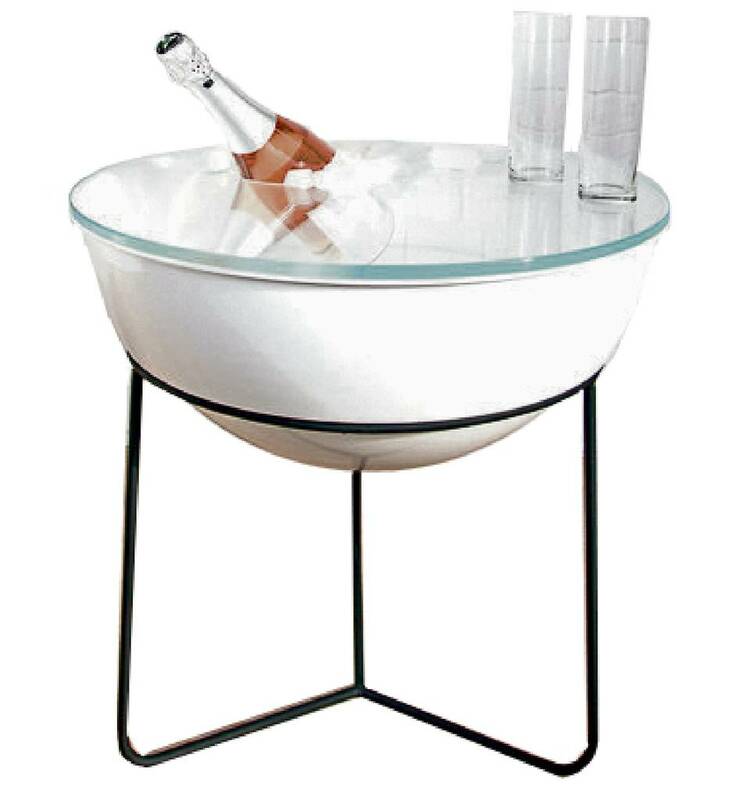 It has a glass top, steel legs and a powdercoated aluminum drum that lends itself to a variety of purposes: It can be filled with dirt and used as a planter, stocked with pool towels or loaded with ice and turned into a Champagne bucket. From $719 through www.oniprojects.com. The stackable Diatom chair, by Welsh designer Ross Lovegrove, is made from a single sheet of laser-etched aluminum, resulting in minimal waste during manufacturing. The voids left by the punched-out legs lend the back of the seat a petal-like appearance (though the inspiration for the chair, along with its name, came from the fossilized plankton that mesmerized Lovegrove as a child). 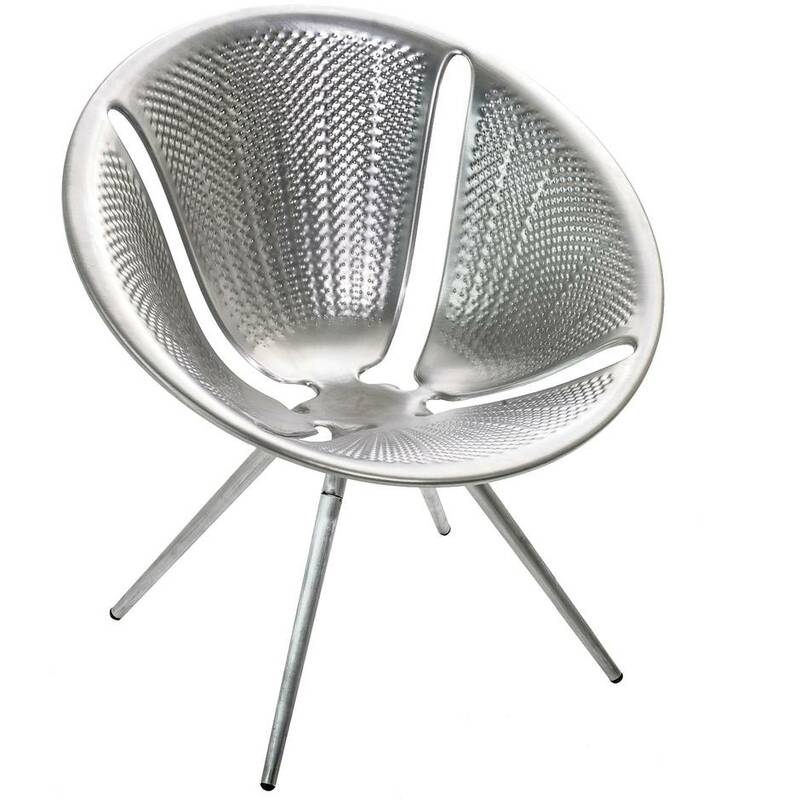 Price upon request through www.moroso.it. As artistic director of the French design firm Concrete LCDA, Matali Crasset is committed to pushing the boundaries of her company’s namesake. 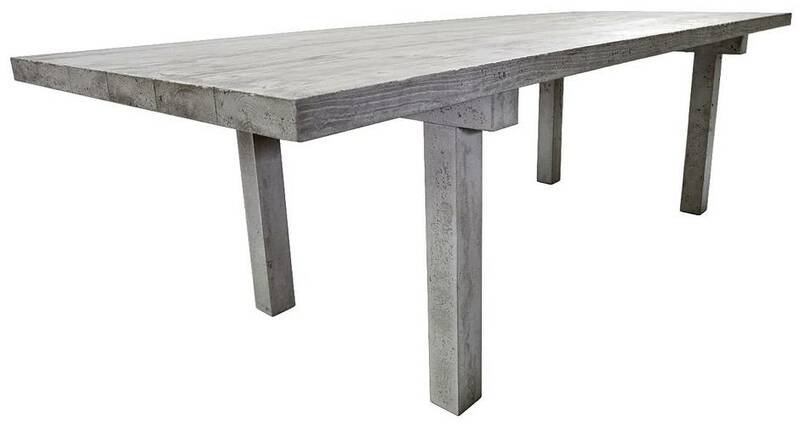 Here, a concrete table takes on the grain of its wooden mould, giving the item a lighter, more whimsical look. Bonus: The table weighs four times less than a solid concrete version would, thanks to the innovative moulding system Crasset employs. Seats 10. From $7,800 through www.roselandgallery.com. This Nordal juice glass looks like ceramic, but is actually composed of sustainably harvested bamboo fibres, making it biodegradable and virtually shatterproof. $46 for a set of four at Design Within Reach (www.dwr.com). Kaufmann Mercantile’s Tealight Lanterns are handmade in Wisconsin by a family company that fashions barrels for muzzleloaders, a type of old-time firearm. Their rough hunting aesthetic is softened by brass or copper construction (the lanterns are available in both), creating a warm glow. A tall back, meanwhile, shelters the flame from wind. $33 through kaufmann-mercantile.com. 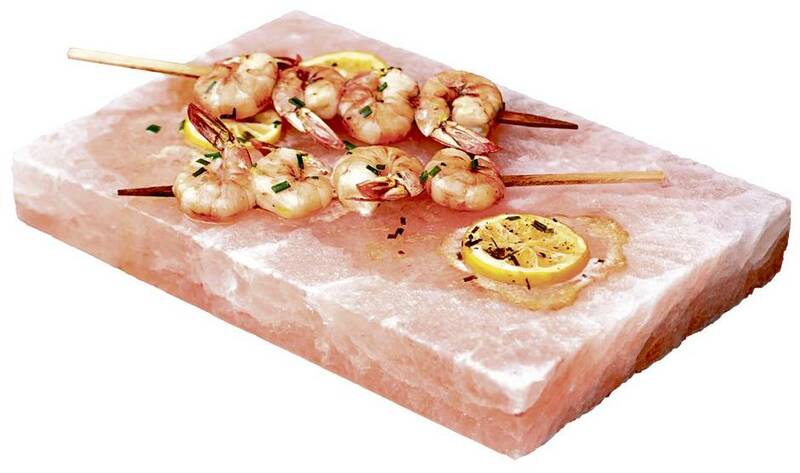 These coral-hued blocks made entirely of pink Himalayan salt infuse food with flavour while it cooks. They can be used cedar-plank style, directly on the barbecue (the rocks are dense enough that they won’t crumble in the heat) or as a serving plate for grilled meats and the like (they can even be chilled for plating fruit or cheeses). $50 at Williams-Sonoma (www.williams-sonoma.com). 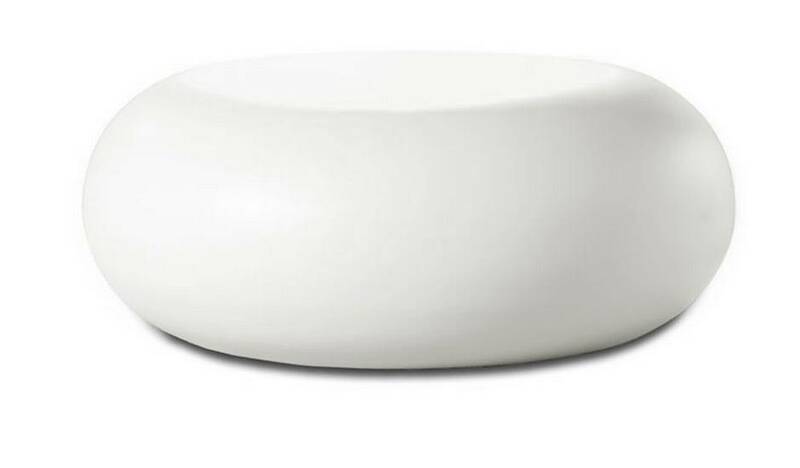 It’s the boxy terracotta nubs that make CB2’s otherwise simple white planter remarkable. They protrude from the pot like the projections on a work of Brutalist architecture, catching light and casting interesting shadows. Chunky planter, $45 at CB2 (www.cb2.com). Husband-and-wife team Don and Kelly Gould run a custom canvas company in Wyoming that dates back to 1909. 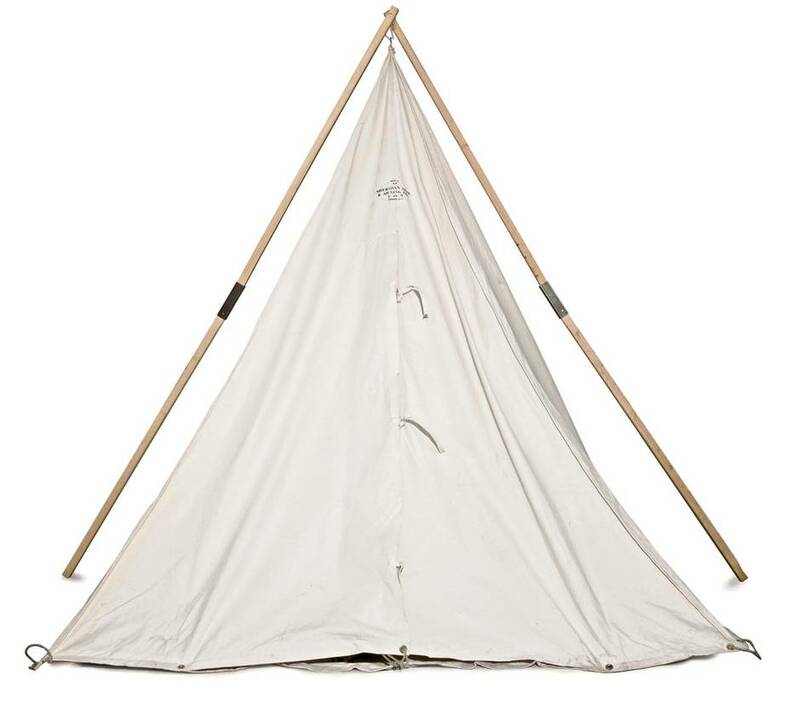 Their handmade Ranger tent is notable for its clean lines and hardy construction, featuring Douglas fir poles and oak stakes, along with tightly woven A-grade canvas that is strong and unlikely to shrink. $619 through www.kaufmann-mercantile.com. 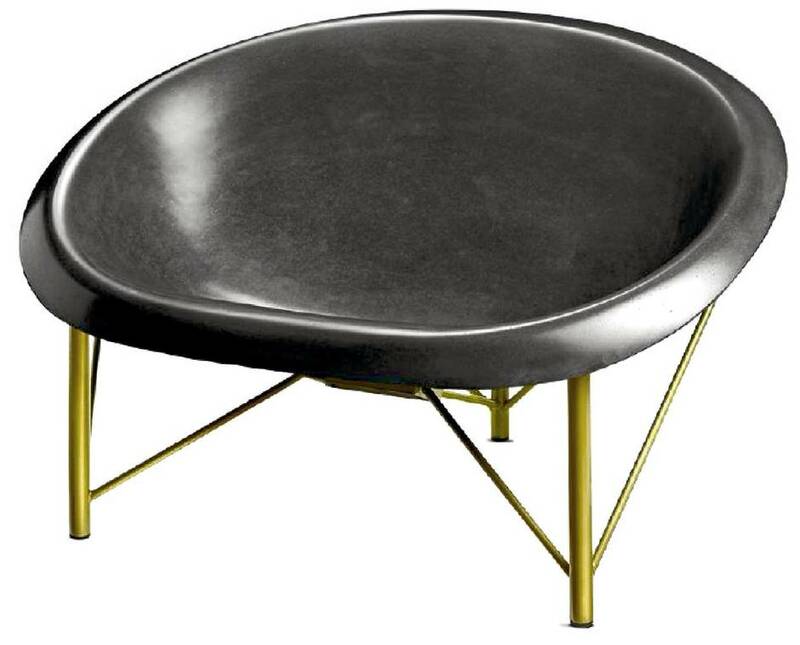 The Helios Love Chair, handmade in California by Galanter & Jones, is a summer-extending seat. Cast from engineered stone, the seat is embedded with a heating device that can be turned on to radiate warmth on cooler summer nights. $4,200 U.S. through www.galanterandjones.com.